Sarah Bessey has become known for her heartfelt blog postings, her approachable style, and her outspoken love for Jesus. Her 2013 book, Jesus Feminist, was a joyful approach to faith, her growth as a feminist, and her devotion to the personhood of Jesus Christ. 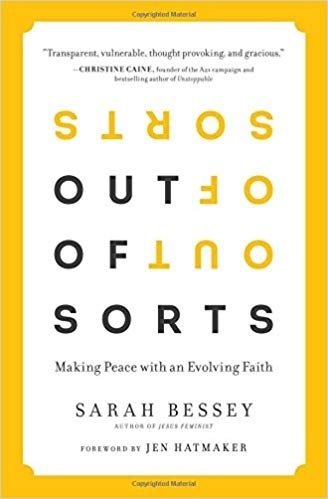 In Out of Sorts: Making Peace with an Evolving Faith, she returns with more personal stories—some of which are achingly painful—along with hopeful guidance and insights. While not necessarily meat-and-potatoes for biblical feminists, Out of Sorts is all about finding joy right here and now and living into one’s faith despite doubt, defeat, and disappointment. Sarah came to Christianity through her parents, whose adult conversion experiences shaped her youth. She had a charismatic upbringing where speaking in tongues was part of her life within the church and continues to enhance her spiritual life. Her faith journey started with what she describes as “an easy childish love that turned into an intellectual rational understanding of Jesus” and led her to what she calls a passionate love for Jesus. This easy, passionate yearning for Jesus is at the core of Sarah Bessey’s writing and comes through clearly in her stories of the challenges and joys in her life. She is not an academic, intellectual, or activist, but she has a core desire to share her life stories to help and encourage others. It is almost as if by her raw storytelling she tells her reader that not only is this OK to do but it is an important part of living out faith and connecting all of us as a community of believers in Jesus. Honesty and self-revelation is what Out of Sorts is all about and what draws the reader forward. In her 20s, she decided to stop being a Christian because she didn’t want to be associated with the Church. It didn’t feel good. She knew that what she calls the “industrial Church Complex” was not the stuff of the Prince of Peace. She was disillusioned to the core and rejected the spiritual life while her husband pursued the ministry. Following six years of avoidance, she had to find her faith and faith community again while she and her husband also found a way to come back together. What she found upon her return to the Church was that the people she loved so much, those who were doing the work of love and grace and mercy, these people were the Church. Her raw emotion about the people of her faith community and her love for Jesus reminds me of Anne Lamott’s pleadings and bare-knuckled approach to hanging on to the love of God for day-to-day salvation and survival. Who doesn’t feel this way at least from time to time? Surviving these dark periods of one’s life is the theme of many of Sarah Bessey’s stories. She compares where she lives (the upper left corner of North America, in Abbotsford, B.C.) where the seasons shift from great darkness to light, to her faith. We need to learn to thrive in the times of darkness and to step into the light while it is there to enjoy it, describes Sarah. Some of her most heartbreaking stories are ones that came at a time of deep grief and searching. In the deepest dark, she found Jesus in the silence and liturgy; specifically, the liturgical calendar. She recounts a period of time where she grieved in a very personal and spiritual way. She had previously lost a child and was experiencing the loss of yet another child. She was also grieving over the start of the Iraq war, and she grieved for the poor and oppressed, particularly women. Then she picked up Phyllis Tickle’s The Divine Hours. Praying them became a new ritual and structure by which she could rebuild her life. Through this type of spiritual practice, she believes, we can arrive at a state of greater readiness. The experience of grief and pain can either distance us from God and our community or lead us through. “At the threshold of any change, we are confronted with fear,” Sarah says. She goes on to describe that, during childbirth, she learned about what is called the “fear–tension–pain cycle.” The greater the fear, the more pain one feels. Counterintuitive as it may seem, we need to lean into the pain, she says. The presence of and the experience of relying on her community comes out as a central theme for Sarah as she describes moving from darkness to light. She explains that actively participating with people where there is friendship and loyalty is important in getting out of our heads, out of our tendency to over-think things, and out of our individual cocoons. “Theology is simply what we think about God and then living that truth out in our right-now lives,” she says. Out of Sorts is not only a deeper exploration of Sarah Bessey’s life, struggles, and joys but, at times, is also a journey into the spiritual angst of those of us who feel deeply about our families, communities, and, like Sarah, a closer relationship with Jesus. The book is about how feeling out of sorts leads us to sorting it out. Out of Sorts is not a literary gem or a deep dive into difficult biblical questions. It is, however, a display of pure honesty and authenticity via storytelling. The book is sometimes dark and difficult, but Sarah leaves us with hope and reminds us of the importance of community and family in one’s spiritual walk. Read an important FTC disclaimer message here. 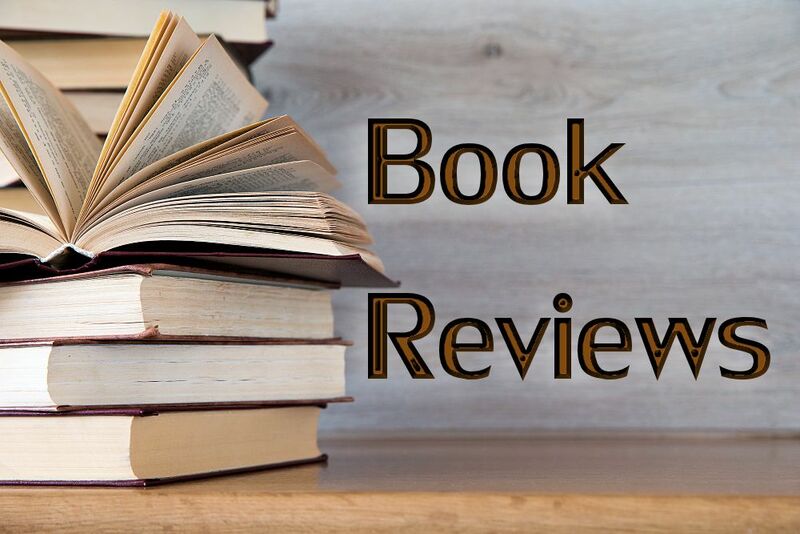 Catherine Bailey has been part of the EEWC-CFT family for over 30 years and this is her first book review. She lives in Seattle where she works as a health care consultant and volunteer in her community. She is currently pursuing additional study and practice in medical ethics. Catherine also seeks any opportunity to enjoy the outdoors through gardening, hiking and travel.